Best Auto Blogs 2018 - Auto News, Blogs and more! How Much Value Can You Add To A Car With Just A Detail? Offers more than just car reviews; it also offers analysis on the car industry. It offers loads of such news every morning. Electrek is about electric and autonomous cars. Keep up to date with those––and even alternative transportations––here. Reviews the latest released cars, test-drives new releases, offers sneak peaks, and compares different cars.Their long-term updates set them apart. Long-Haul Testing With the Updated Model S… and a Tesla Semi? EXCLUSIVE: Can a 2019 Tesla Model S Make it from SF to LA on One Charge? For the most up-to-date news and rumors about cars, /r/Cars is the place to be. It's also a great place to get your questions answered and chat about your favorite car stuff. Does anyone know tavarish's username? I think I found his next project. Brings news like the other blogs on this list, but it adds the latest prototypes and technological advancements to its coverage. Takes the "truth" part of its name seriously. They offer unbiased news and reviews about cars. Covers an emerging market: electric cars. 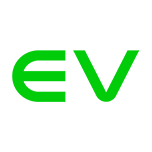 Learn the latest news and participate in EV user forums. Will Yellow Card Warning Prevent Formula E Demolition Derby? Besides the usual news and reviews, the CarGurus blog offers insider info on car shows, industry politics, vintage autos. Jeremy Clarkson's editorial section is enough to bring most people to this blog, but its other sections are also worth a click, especially the auto lifestyle section. Offers an insider's view on the car industry, specializing on news and reviews of concept cars and the latest industry news. Experts compile all sorts of news, reviews, information, and photo on the car industry for Autoblog. Brings the latest news for high-end cars and more extreme vehicles.